Technically this should be 'Guest Nails Vol. 3', but I mislabeled my other guest nails.. Whoops! I mentioned in my last post that I got to do my sister's nails and my mother's nails the other night.. And I said I would try to get photos.. I mean, obviously I got them.. Or this post wouldn't exist.. Right?! 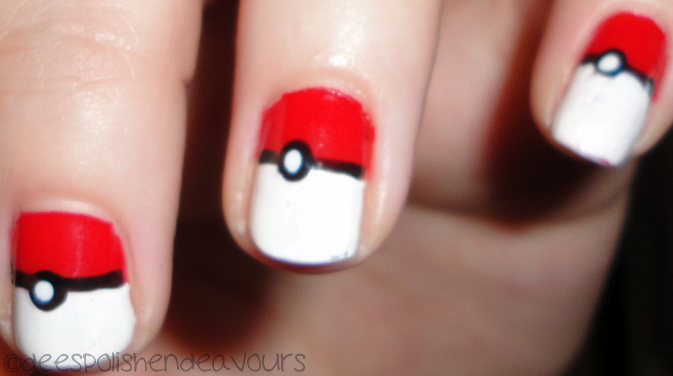 First up are my sister's pokeball nails.. I cropped out her chipped nails.. So you don't get to see the whole hand.. I did it as a favor to her! They are actually really cute and fairly simple to do!! I used Essie Lollipop, CGs: White Out & Liquid Leather. These are the nails I did for the mother. She told me to do whatever. So I did. The flash on the camera really changed the blue.. It is hard to believe that is Ogre-the-Top Blue. 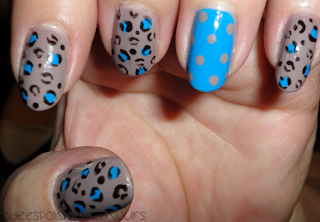 I used: CC High Society, OPI Ogre-the-Top Blue & CG Liquid Leather. I think I will close this post with a Bennie photo, as it has been awhile since that rascal last made an appearance. I think that about wraps it up for now. I hope everyone had a great weekend and is ready to start an equally great week!! Til next time..
OH! I wanted to say that I received the GREATEST bbm AND photo from my favourite friend this evening.. She cheetah-upped her own nails! Using a toothpick! I LOVE them! Maybe I will get the photo on here (with her permission, of course) as I am extremely pleased with what she did! Gordo, you did me proud!! (: x 8000!! Swaafie - Thank you! I honestly think that I will play with that colour on Tuesday evening! I am glad someone else shares my love for lime and yellow colours.. 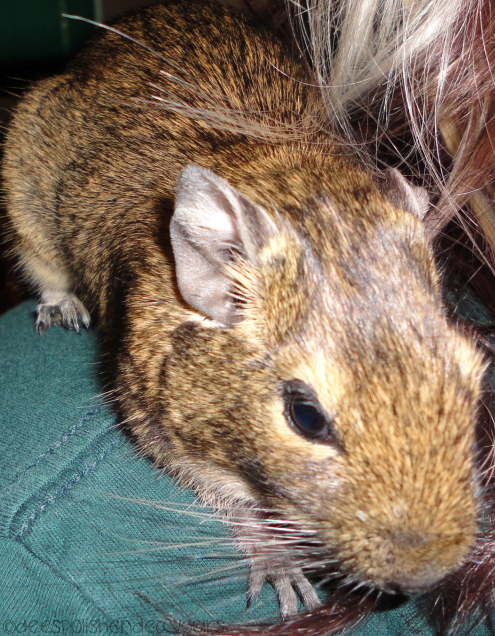 Specifically a hybrid of the two, heh. Li Lian - Thank you so much! I always think they look like, well, crap, when compared to other people's nails. This is a HUGE compliment. I just use the brush, but to preserve it, I always put it back into the yellow polish.. I find it keeps the bristles together. I would be lost without my skinny brush!! rmcandlelight - Thank you so much!! Lacquer Ware for Tips and Toes - Again, a HUGE compliment! I am glad that you were able to tell what they were just by looking at them - my mission is complete! I LOVE LOVE LOVE the pokeballs!! and your mom is sooooooo cool. my mom wuld never let me do that to her nails..
Love the pokeballs and the leopard. Your sister and mom are very lucky to have you to do their nails.